Aren't these adorable? I love the Pet Cakes! I know when I was a little girl, if these would have come out I would have really wanted them! Each "cupcake" has a dog inside. All of the dogs are adorable, but I think my favorite is Randy Candy. Randy is a "mutt" but he is just too cute! 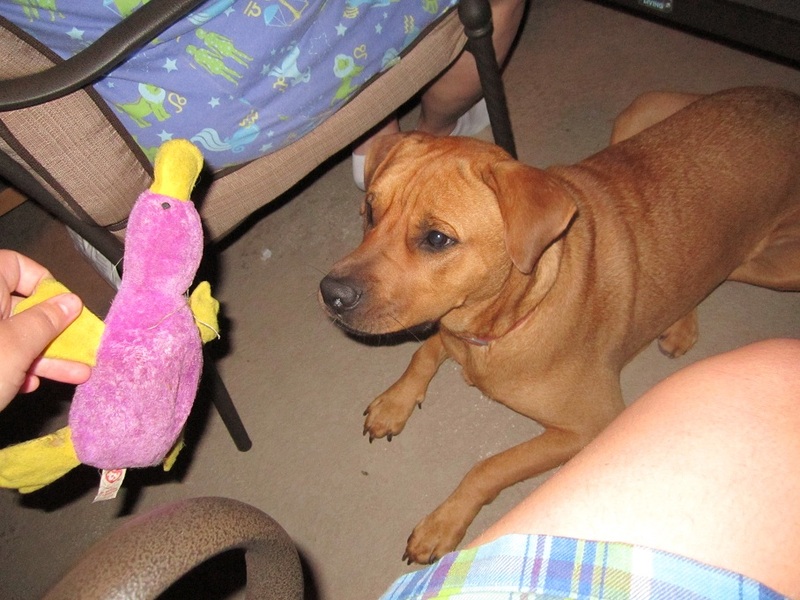 He kindof reminds me of a cartoon version of my dog, Necco. They are all truly adorable! I actually had the perfect opportunity to give these to someone who would love and care for them. My neighbor, Adriana actually just had her 8th birthday. I gave her 3 of the 4 pet cakes, and she loved them! (I know I know.. but I just had to keep Randy :) ) I see her with them all the time. She loves cupcakes, and she adores dogs.. So these were just a perfect gift for her, as I imagine they would be with just about any little girl. Before I gave them to Adriana, I did check them out for myself of course. 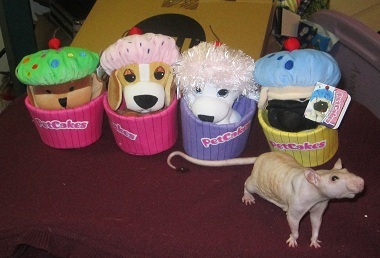 Each PetCake is made with love, and they are all very durable, ensuring hours and hours and hours of play! The Giveaway! 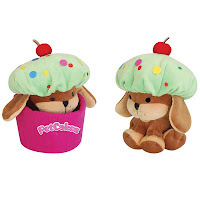 1 of you will receive 2 randomly selected Pet Cakes! Mandatory Entry: Visit the Pet Cakes Website and tell me your favorite Pet Cake! ﻿﻿Disclosure: Review product was provided to me free of charge to ensure and honest review. All opinions expressed are my own, and were not influenced in any way. Only 1 entry PER HOUSEHOLD. Be sure to leave your email address in each comment.This giveaway will end May 13th, 2011 at 11:59pm. The cake that looks like a Beagle is definitely my favorite! Arrooooooo! I follow your blog, of course! I've entered the Monster Factory giveaway, too. My favorite is Nutty Nicky. I like Roco Coco how cute! I like Blueberry Buddy :) Thanks! I like Randy Candy since I have a soft spot for mutts. Lol. Like Pet Cakes on FB. Like you on FB (new page). Cute! we have sharpeis in the house,we even had seven puppies one time so i like Blueberry Buddy™. I like Pet Cakes on FB. My favorite is Randy Candy!